Buildings tower over the Graham Street market on a summer evening. 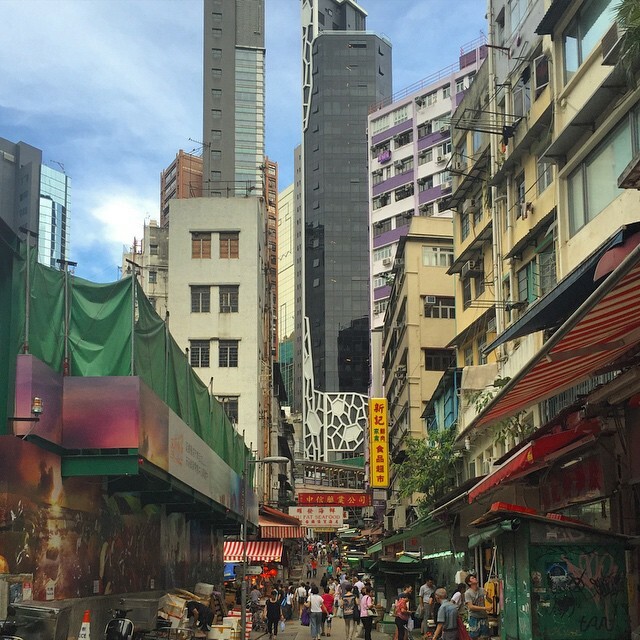 Soon the market will be gone, removed by the HK government to make way for more towering high-rises. What a pity. This entry was posted in Instagram and tagged buildings, central, evening, grahamstreet, grahamstreetmarket, market, streetmarket, summer. Bookmark the permalink.